(PRESS RELEASE) The very first fine dining vegan restaurant to grace the Arizona culinary scene, Casa Terra, will open in early January 2019 in the heart of downtown Glendale. 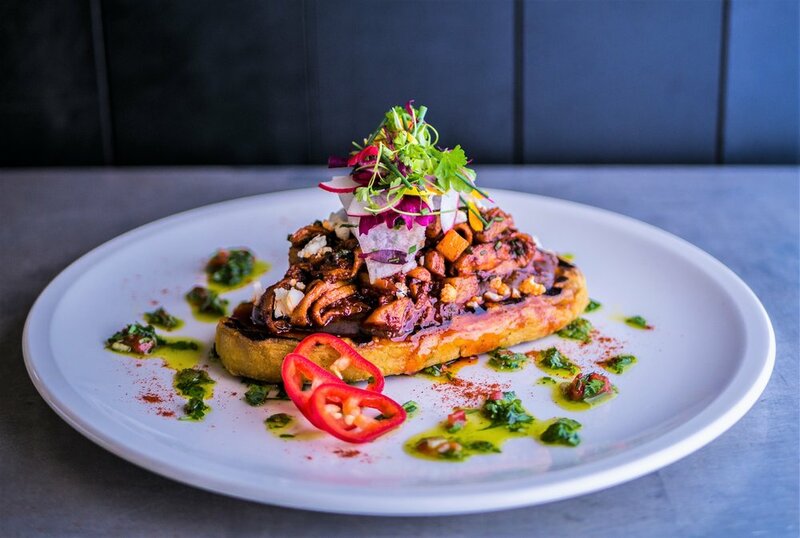 Focusing on plant forward cuisine, the restaurant will serve authentic regional fare from Mexico and the Mediterranean, as well unique fusion dishes from these areas. Casa Terra’s Founder and Executive Chef, Jason Wyrick, is a New York Times bestselling author and internationally renowned chef who has been serving outstanding vegan food to the Valley since 2004. Chef Wyrick will be bringing his passion for history, culture, and compassionate eating to this new venture. While the cuisine at Casa Terra will be elevated to a fine dining standard, the atmosphere and experience will be warm, welcoming and focused on the social aspect of enjoying an amazing meal. He’ll be utilizing both classical and innovative cooking techniques to create vibrant, exciting, full flavor dishes that will appeal to any guest. An extremely accomplished chef, speaker, author, publisher and business owner, Wyrick has been serving the growing plant-based community for nearly 15 years. After transitioning to a vegan diet, he lost over 100 pounds and completely reversed his diabetes. This led him to co-authoring with Neal Barnard, M.D., the New York Times bestseller 21 Day Weightloss Kickstart. Wyrick was the first vegan chef to teach in the famed Le Cordon Bleu program at the Scottsdale Culinary Institute. He founded the world’s first vegan food magazine, The Vegan Culinary Experience and authored two cookbooks, Vegan Tacos and Vegan Mexico. He’s been featured in a variety of national news outlets, and he’s traveled the globe teaching cooking classes. Additionally, since 2006, Wyrick has been operating The Vegan Taste, the world’s longest running fully plant-based meal delivery service. A dinner-only restaurant, Casa Terra will showcase seasonally changing, plant forward cuisine with influences from Mexico and the Mediterranean, highlighting flavors from Italy, Spain, and Morocco. With a wide variety of small plates, wood-fired pizzas and sharable entrees, the menu is designed to encourage the exploration of a variety of dishes. The restaurant will feature an expo kitchen where guests can view the preparation of housemade pizza dough, pasta, tortillas, and cheese. There will be a modest, thoughtfully curated wine list that is specifically designed to pair well with the food, as well as some fun, creative cocktails. · Panzanella ala Mojo: sourdough bread, mojo de ajo, heirloom tomatoes, olives, crispy shallots. · Assorted Daily Cheeses and Olives: warm flatbread, olives, mostarda, membrillo, cascabel harissa, and mixed warm olives. An intimate dining space, the 2,800 square-foot restaurant will seat up to 65 guests. Once open in early January, Casa Terra will operate Sunday through Thursday from 4 to 9 p.m. and Friday and Saturday from 4 to 11 p.m.
Casa Terra is located at 6835 N. 58th Drive, Glendale, Ariz., 85301. For more information, call 623-680-7468 or visit www.casaterra.com.